Through the service connection point the site becomes aware of new updates. 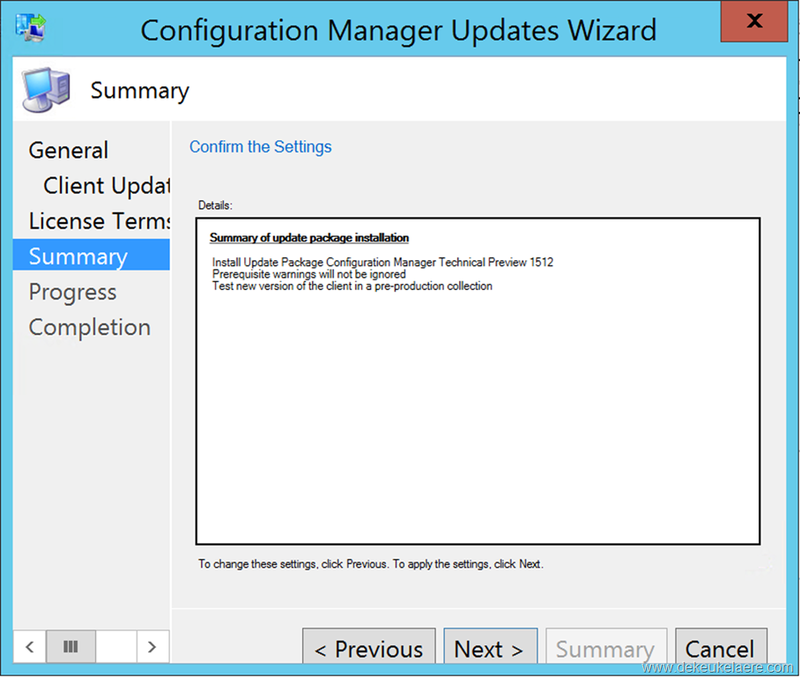 If any updates are available they are listed in the Sites and Servicing node in the Configuration Manager Console. Behind the scenes you would find more details about this in the dmpdownloader.log file. 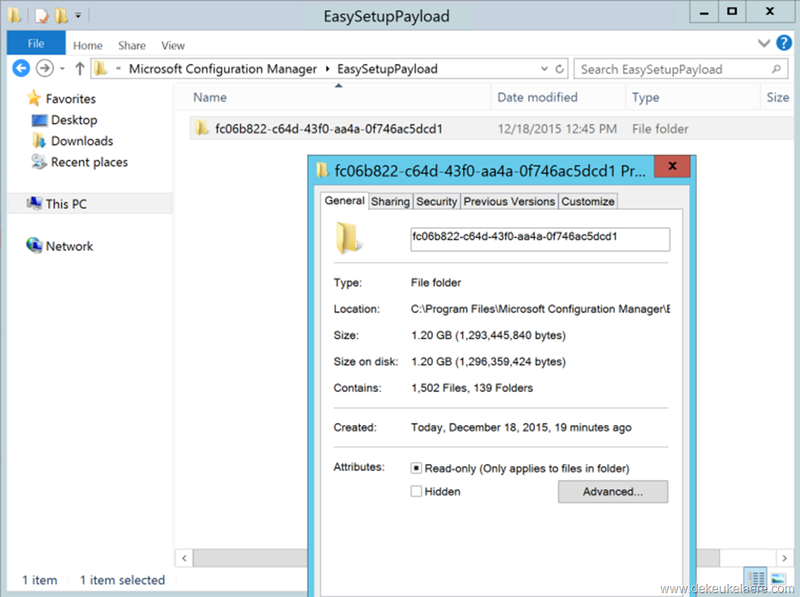 In the EasySetupPayLoad folder you will find the actual content that was downloaded. We will not go to much into detail on this specific topic. If you want to read more details about the updating process I recommend this post by Kent Agerlund. 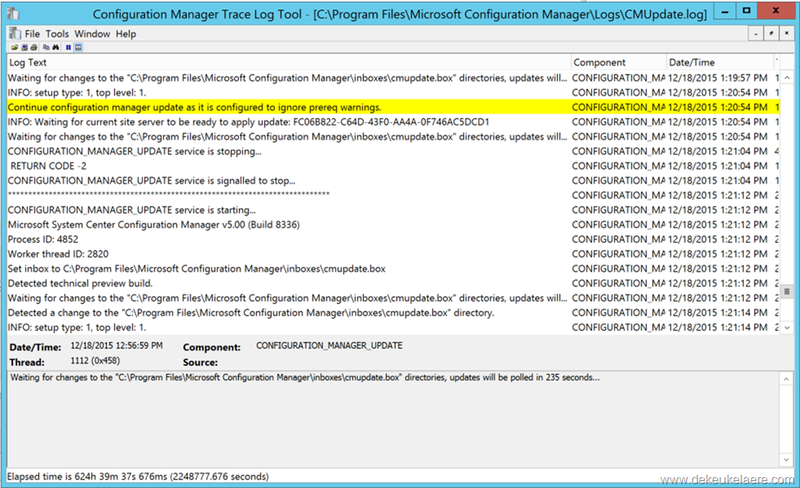 From the updates and servicing node you can first run a prerequisite check before installing the update. 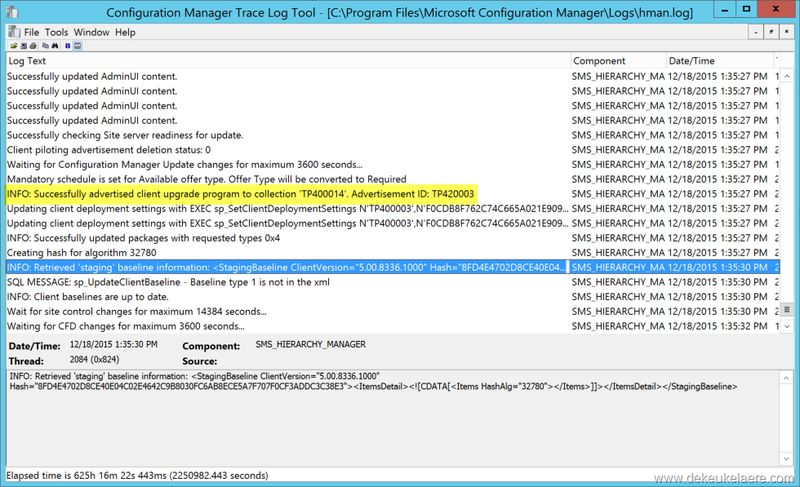 Once all checks are finished the state in the console is again updated. 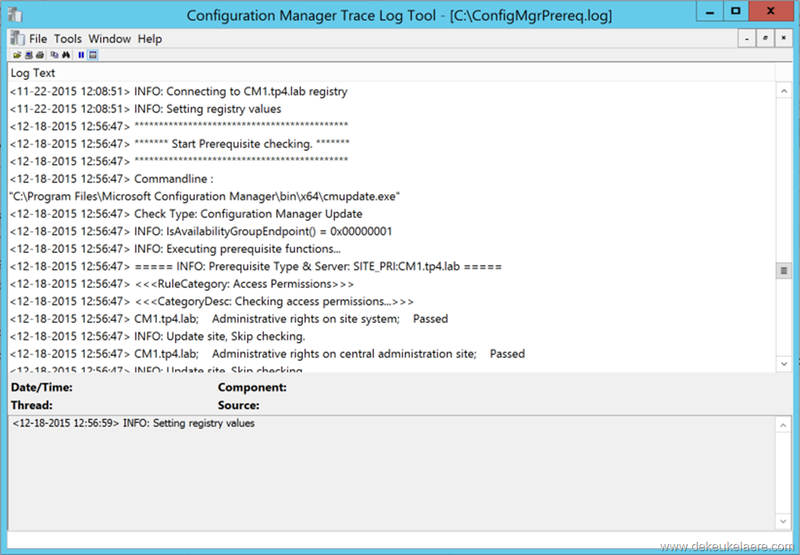 Details on failures and warnings are logged in the ConfigMgrPrereq.log, located at the root of the System Drive. 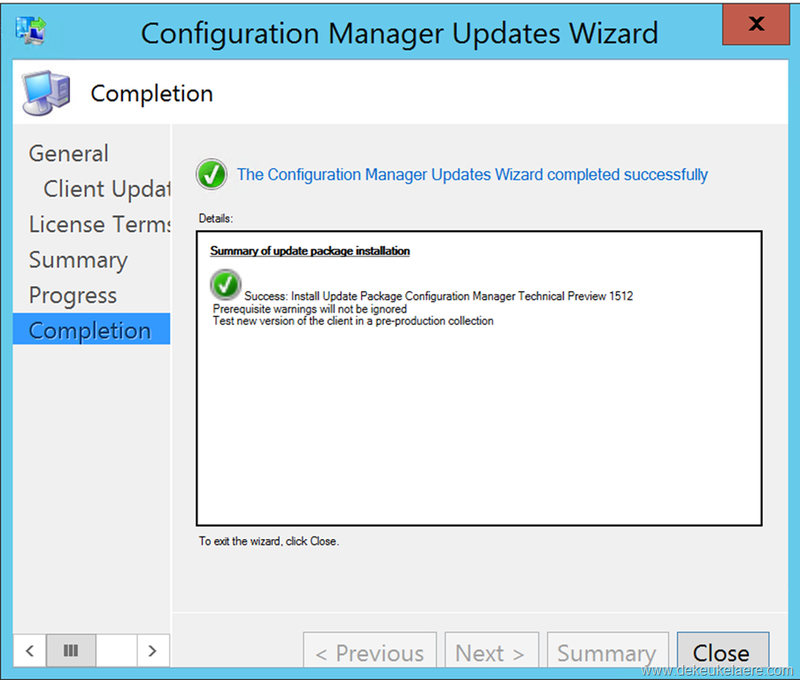 Now we have verified the prerequisites are in place, the next step is to install the Update Pack. This is also done in the console through the Updates and Servicing node. The installation experience is wizard based – and there are only a few steps to walk through. 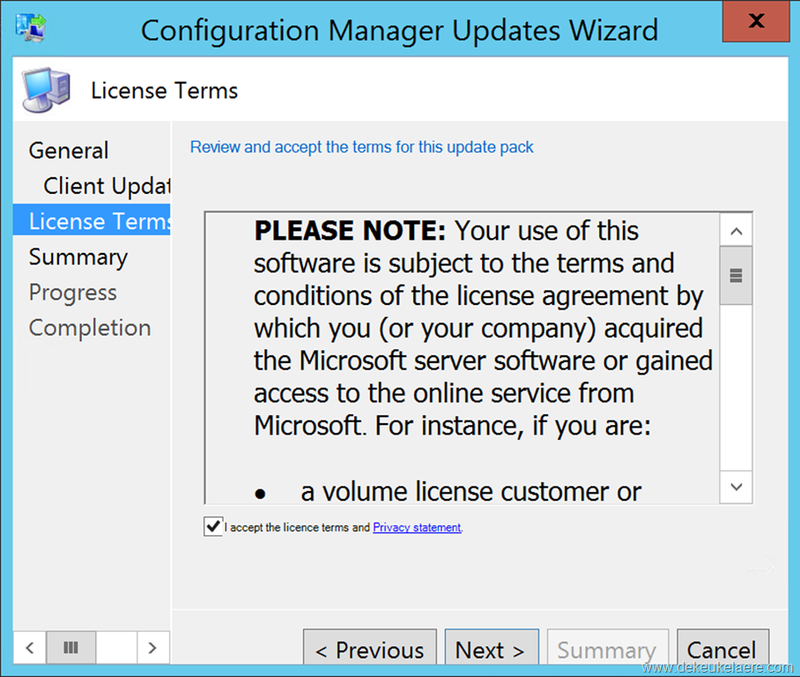 The first window gives some more details on what changes are included. 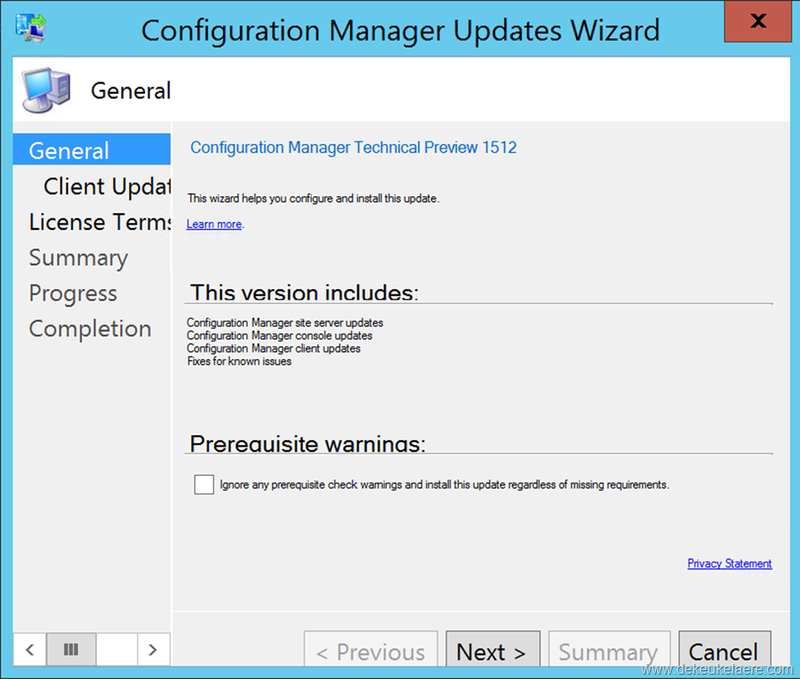 Notice that here you can also opt to ignore any prereq check warnings and run the update anyway. For now we leave this option disabled. 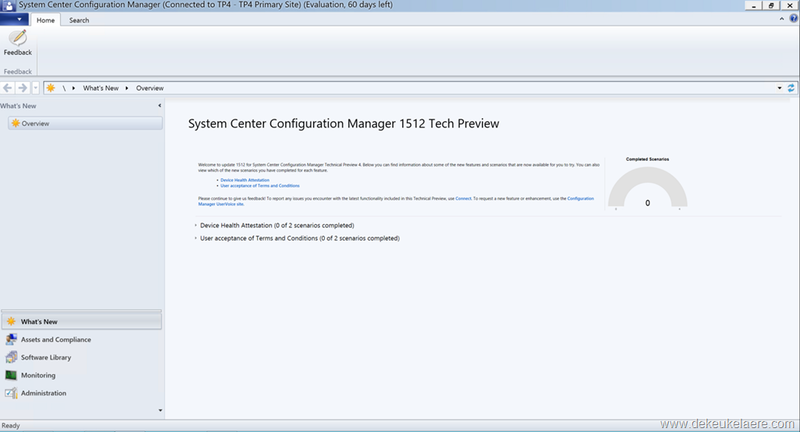 Client Piloting is a new feature which allows testing of the new client version on a set of pre-production systems first. Here we opted to do the validation and we are targeting a pre-production client collection which we had already created during the initial implementation of this lab enviroment. We need to accept the license terms. … and we are ready to run the update. As we chose not to ignore any prereq check warnings the installation did not kick off. If you are confident that the warning(s) can be ignored or they have been resolved you can retry the installation. In our case we wanted to ignore the warnings so we can click OK on the next dialog box. 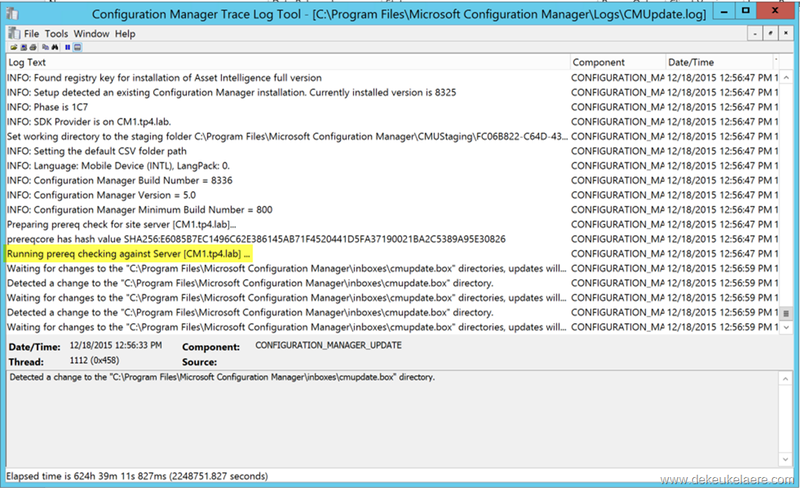 This is also reflected in the CMUpdate.log file. The state is now updated to Installing. And approximately 10 minutes later the update was successfully completed. Clicking OK automatically closes the console and launches the update. 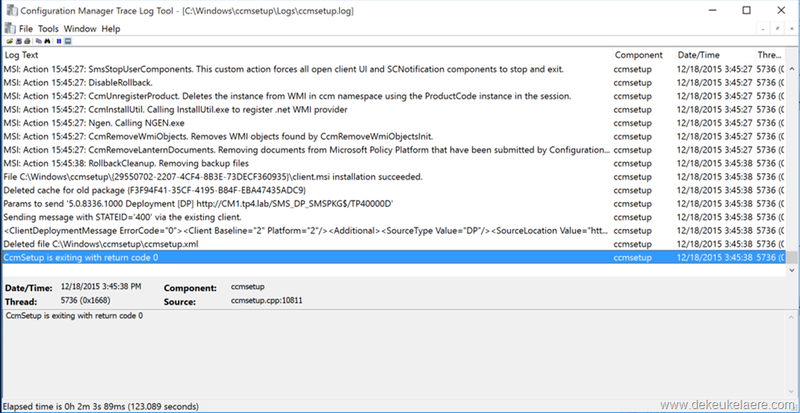 Once completed the console is automatically started again and shows the What’s new workspace. This is also a new element in this build which we will discuss in detail in a later blog post. Note: At this point we have no remote console(s) to test but I would assume similar behavior there. Next we need to get our clients up to par. 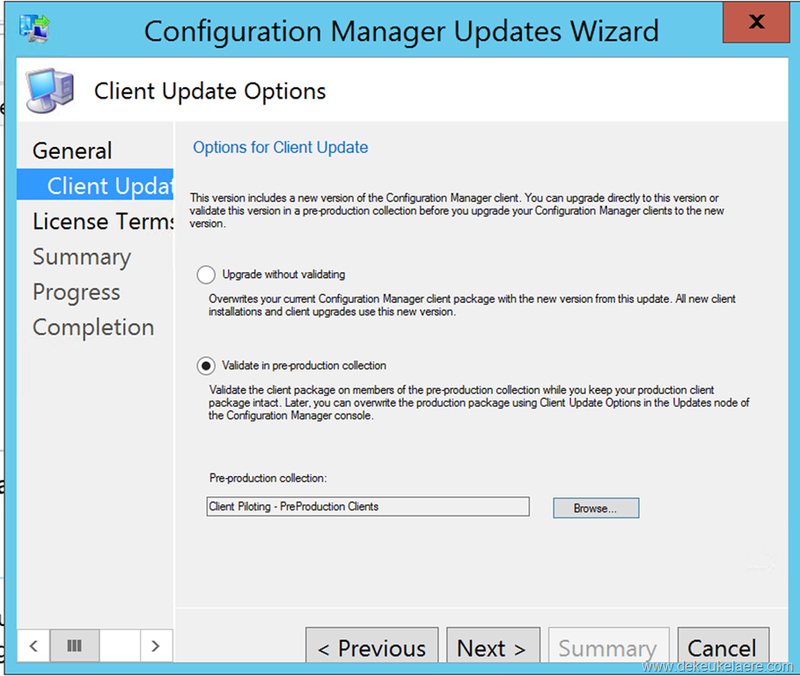 Remember that we already opted to update our pre-production clients during the setup wizard earlier. As a result an advertisement is automatically created to update the clients in the pre-production collection. Details about this are logged in the hman.log. 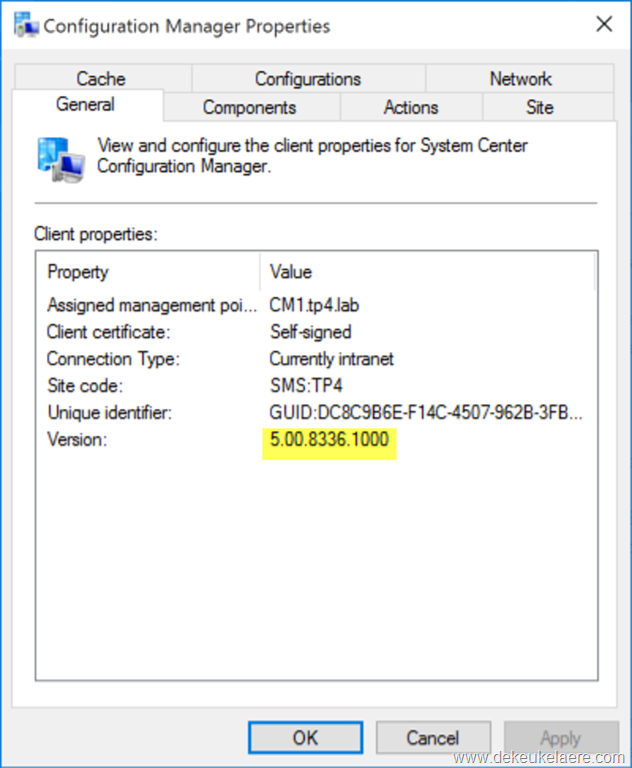 Note though that no client will update before you have distributed the content of the client packages to your distribution points. For sure there are a lot more details to check and elements to uncover but for now and based on this first experience we can conclude that the new updating process is really an improvement: straightforward, covering all infrastructure aspects, and pretty fast. And one more thing: happy to see that the update has also reset the time bomb mechanism. This means we get more time to play in this lab!